To manage extra rush of passengers, South Central Railway (SCR) will run 46 special trains between Hyderabad – Kochuveli. Train No. 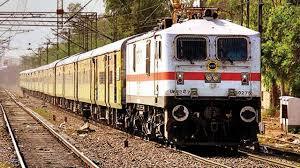 07115 Hyderabad – Kochuveli Special Train will start from Hyderabad at 2100 hrs on April 7, 14, 21, 28, May 5, 12, 19, 26, June 2, 9, 16, 23 and 30(Saturdays) and will arrive Kochuveli at 0320 hrs on Mondays. In the return direction, Train No. 07116 Kochuveli – Hyderabad Special Train will start from Kochuveli at 0745 hrs on April 9, 16, 23, 30, May 7, 14, 21,28, June 4,11, 18.